Sixteen years later, I finally looked it up and I wasn’t imagining it, I could see across the water from Dahab, Egypt to S.A. I found this pretty picture on wikipedia. 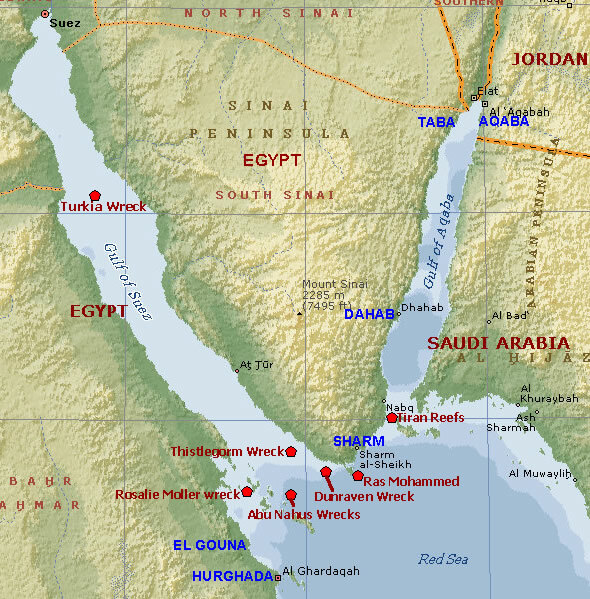 The Gulf of Aqaba is about 15 miles wide at this point. At the time I had no idea how wide the the Gulf of Aqaba was or if it was possible to see across it. I thought maybe I was seeing an island. Here it is on a map.